You'll be £15.00 closer to your next £10.00 credit when you purchase Stalag Luft I. What's this? 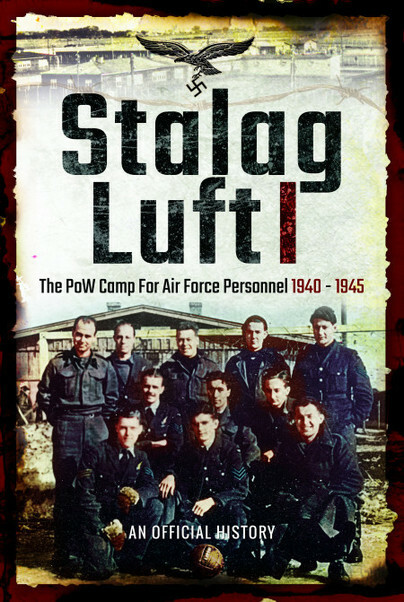 Located by the Baltic near the town of Barth in Western Pomerania, Germany, Stalag Luft I was one of a number of Stammlager Luftwaffe, these being permanent camps established and administered by the Luftwaffe, which were used to house Allied air force prisoners of war. Originally built for RAF personnel, by the time the camp was liberated by the Russians in May 1945, the camp contained approximately 7,500 American and 1,300 British and Commonwealth prisoners. The camp had expanded from the original single RAF compound, to a total of three. On 30 April 1945, the prisoners were ordered to evacuate the camp in the face of the advancing Soviet Red Army but refused. After discussions between the senior American and British officers and the Kommandant, it was agreed that to avoid unnecessary bloodshed the guards would depart, leaving the prisoners behind. The next day, the first Soviet troops arrived. This Official History of Stalag Luft I was prepared for the War Office just after the war, but was never released to the general public. It explores all aspects of the camp, from its administration, to the supply of the food and conditions the prisoners endured. Inevitably the author also investigates the subject of escapes, as well as the reprisals that followed. This account provides the reader with an accurate and unprecedented insight into the story of one of the longest-running German PoW camps of the Second World War. The book describes in detail, often in the words of those who carried them out, a very great number of escape attempts and their very diverse methods, which ranged from the engineering complexities of digging and keeping secret the many tunnels, to simply walking out of the main gate as if it were the most natural thing in the world. An official account prepared for the War Office at the end of the Second World War.